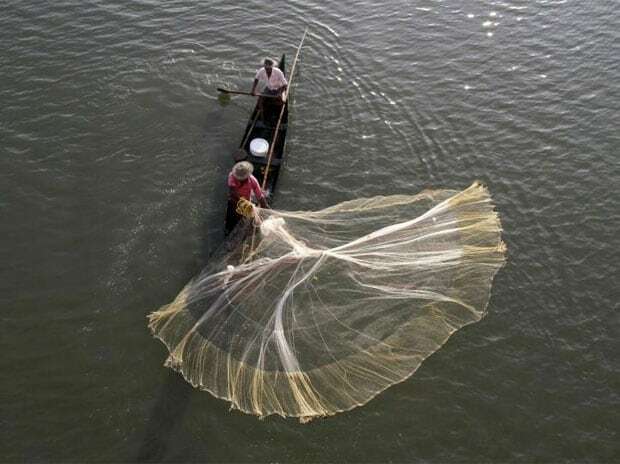 Over 4,000 Tamil Nadu fishermen were allegedly chased away by Sri Lanka Navy personnel when they were fishing near Neduntheevu in the island nation's waters, a fishermen association leader said here Sunday. The fishermen from this island town who put out to sea in over 590 mechanised boats on Saturday were catching fish near Neduntheevu when the Lankan navy men came to the spot and drove them away, Rameswaram Fishermen Association president P Sesuraja said. One fisherman was injured when the navy men threw stones at the Tamil Nadu fishermen, he alleged. Meanwhile, a team of fishermen from Pudukottai and Nagapattinam is in Sri Lanka to retrieve nine boats seized by the island nation's navy some time ago.